Cuz power!!Me... Meme and Fun Stuffz! 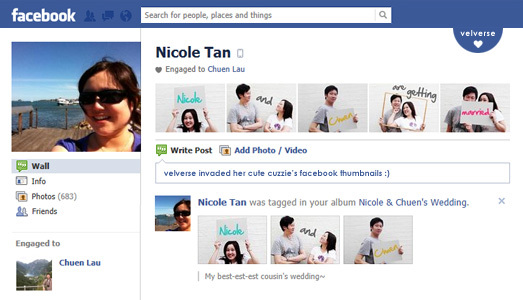 *yeeha* I manage to invade my cute cousin’s facebook thumbnails. This is just a sneak peak to her SAVE THE DAY card. *haha* I think this is adorable to the max! Cuz power! !Look who's talkin!Me and my "ME-time"Me... Meme and Fun Stuffz! 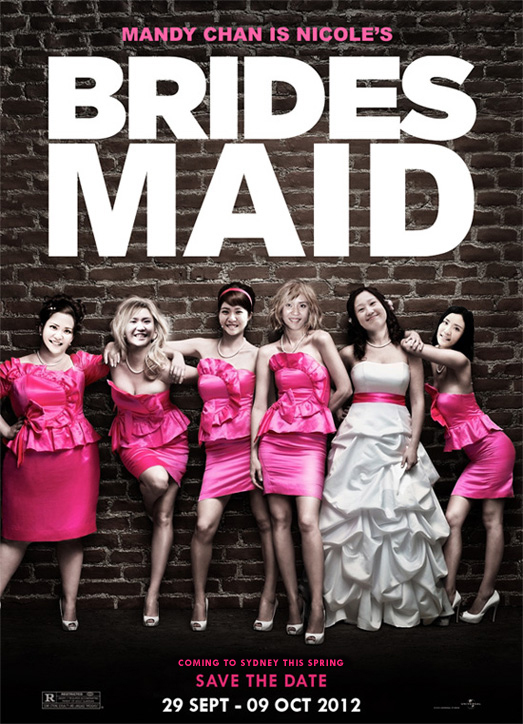 The bridesmaid is coming to town! Now of course I have to reply her in a creative way. 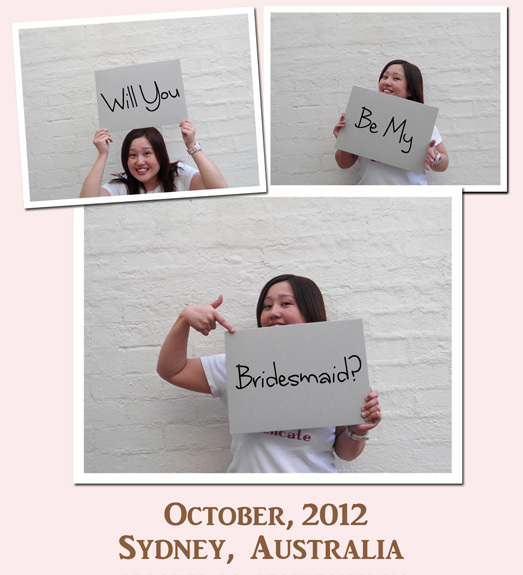 Now… my dear cousin, remember to save the date ya. I will seafood every single day, if this restaurant is right next to my house! 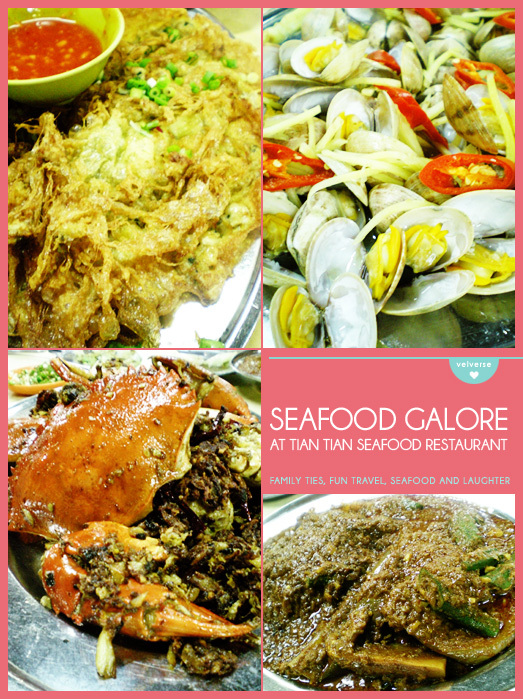 Tian tian seafood restaurant is really a hidden gem, one might need a gps to reach this place. The fresh aand yummy seafood make the long journey and wait worth it. 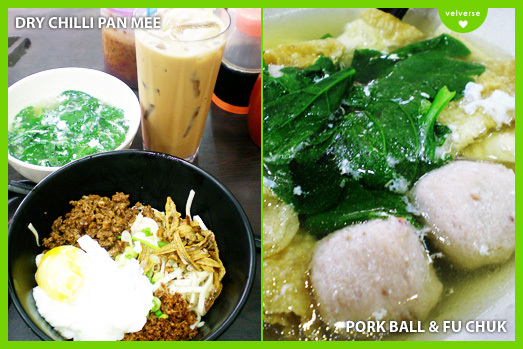 The crispy oyster omelette, curry fish and kam heong crabs are some of the worth mentioning dish. Aside from the good food, what I love about the place is the natural kampung feel. I love how the egg binds everything together so well and give the noodles a smooth and silky texture. The ikan bilis, minced pork, fried garlic and spring onions. Ooo la la~ simply heavenly. And the best partner in crime, the the potato leaves soup and a nice cold drink so chill down. Snowflake after a full western meal! I love sweet desserts! yum yum… especially with chewy stuffs. My second snowflake attempt. And great cousins really think alike. Me and Nicole ordered the same dessert. Can guess?? 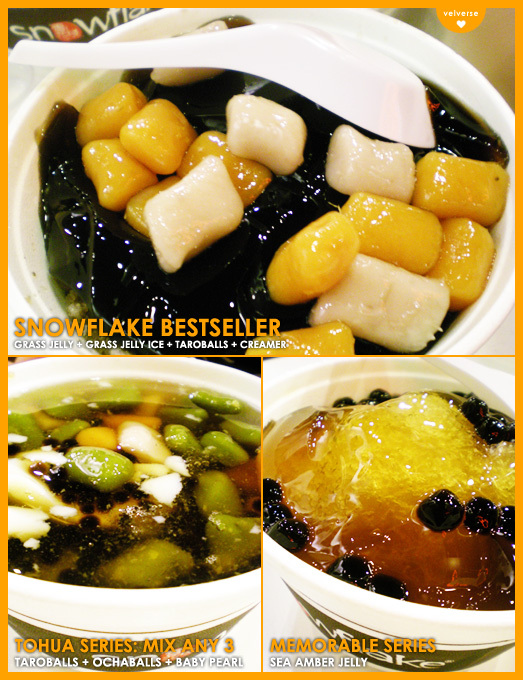 *slurp slurp* Tohua Series: Mix Any 3 series whereby we chose the same stuff. Yes, yes… more taroballs, ochaballs and also baby pearl! Jason treat us to some groupon deals that he bought online. 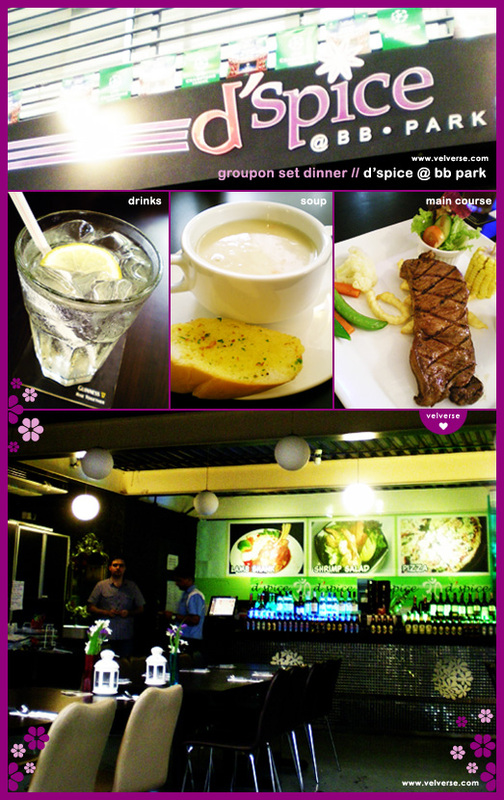 I thought it wasn’t really a great deal as the food at d’spice restaurant was bad. The soft drinks ain’t carbonated at all while the soup is lumpy and starchy. Weee… my dear finally bring me to try out the BIG “Bad” Matterhorn Burger. My dear has earlier tried it with his friends and colleagues and can’t stop telling me how good the burger was. So, I decided to invite my friends and my cuzzie to try it out. We would need to call up the restaurant 1 hour in advance for them to prepare the HUGE burger! The burger is definately the highlight. When the waiter serve the burger, all eyes turn around and look at the burger. Boy am I shocked at how big the burger was! The burger is bigger and thicker than what was advertised. This BIG “Bad” Burger is made out of 2 large burger bread (around 450g) which is like 9 inch in diameters, loads of tomatoes (around 370g), cucumber pickles (around 200g), lettuce (200g), 4 slices of bacon, 11 slices of cheese (around 200g) and this super thick and juicy pork burger patty (around 1.5kg!) 😮 OMG! I can literally hide my whole face behind this burger! Despite how big and thick this burger was, I would expect the burger to be dry and not taste good, but I am so wrong. The burger taste really good and very very juicy! The only problem I have with this burger, would be to cut and eat it. I guess there’s no way to avoid the messy serving. I love every single bit of the burger and for sure will be back for more… if I could find 3 other friends to eat with, cause it is definately too big to eat on my own. This BIG “Bad” Matterhorn burger cost RM112 if you order it on ala carte. However, for big eaters.. you could join the MATTERHORN CHALLANGE, where you are challanged to chomp down the Matterhorn burger in 45 minutes. It’s an individual challange so no sharing is allowed :). For more info and terms and conditions, please click here. Hehe… now looking at the pictures, we are highly trained since young. 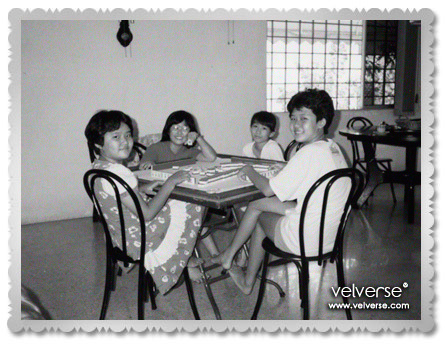 Hehe… yeah, ever waiting for our parents to go toilet or tea break so that the four of us could just take over. It’s just so noisy and fun. Hehe… of course it is still a tradition for us each time we get together. 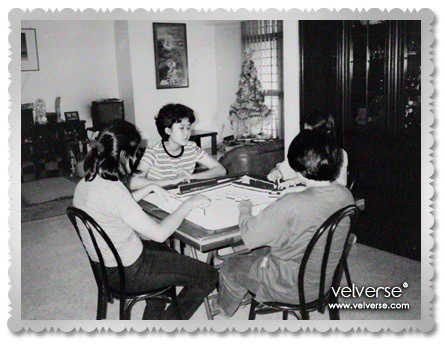 It is just so fun for us but I guess the last time the 4 of us got together and play was back 10 YEARS AGO! OMG! And I seriously do miss the times where we get together. It seriously brings back all the happy moments for us as kids. Aren’t we cute kids with cool talents? Okay… probably a little chubby but hey… chubby kids are cute! 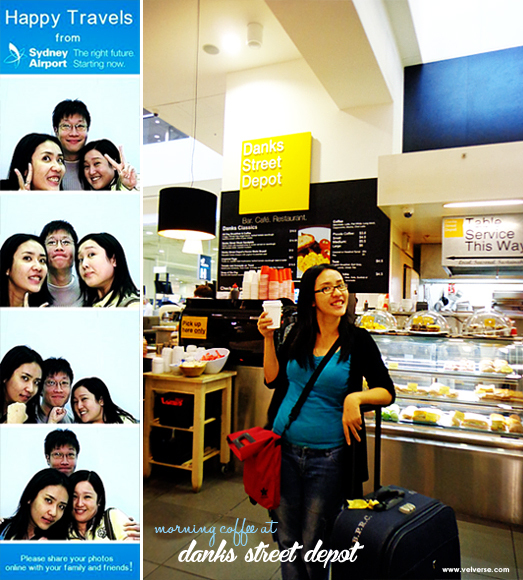 Hemm… Nicole, when are you coming back and let’s Mahjong!